On March 23, 2010, President Obama signed comprehensive health reform, the Patient Protection and Affordable Care Act (ACA) into law. 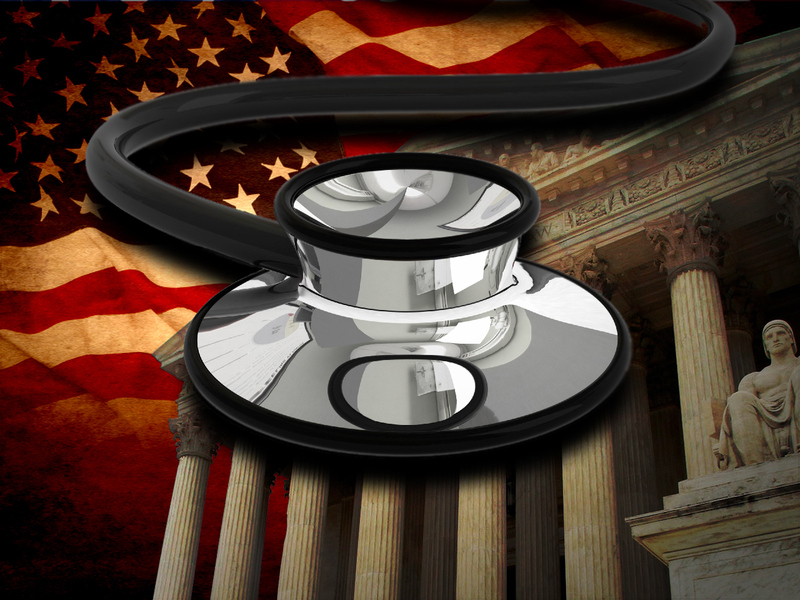 Today, the Supreme Court has largely upheld the constitutionality of the Affordable Care Act (ACA) by ruling that the cornerstone provision of the law, the individual mandate, was constitutional. ACA required U.S. citizens and legal residents to have health coverage or else face a penalty up to 2.5 percent of income. The court noted that individuals can simply refuse to pay the tax and not comply with the mandate. The court limited, but did not invalidate the Medicaid provision, which would have expanded Medicaid to all individuals under 65, with modified adjusted gross income (MAGI) at or below 133 percent of the federal poverty line (FPL), or around $30,000 a year for a family of four. (Note: there is a quirk to this oft-reported 133 percent: ACA adds a five percentage point deduction from the FPL, which means that the Medicaid eligibility threshold is effectively 138 percent of FPL). The expansion would have provided coverage to 16 million Americans. However, a majority of the Court held that it would be unconstitutional for the federal government to withhold Medicaid funds for non-compliance with the expansion provisions. Given the scope of the law, it was meant to be phased in over a number of years. (The Kaiser Family Foundation ACA timeline is a great resource to track what happens, when). The Supreme Court ruling means that the original timeline of events will largely remain in place. Young adults up to age 26: Approximately 2.5 million young adults are now covered on their parents' policies. Before the decision, UnitedHealth Group Inc. (UNH), Aetna Inc. (AET) and Humana Inc. announced that they would keep children on plans to age 26. Additionally, many states had laws on the books that support the young-adult rule. Watch CBS News' special report on the Supreme Court's ruling. Ban on denying care due to pre-existing conditions: The insurance industry had said that it would be willing to abide by this rule, except in cases of fraud (i.e. when people lie about their conditions on the application). This provision would have been expensive, however, without the mandate, because of the possibility that only sick people would have signed up for insurance. Preventive healthcare benefits without imposing co-pays/other out-of-pocket charges: Some of the popular tests that this rule covers are mammograms and colonoscopies. About 54 million Americans now have expanded coverage of at least one preventive service since the law went into effect, according to an analysis by the Kaiser Family Foundation. Additionally, 32.5 million seniors took advantage of these preventive services. Gap in Medicare coverage (aka the "doughnut hole"): Seniors who fell into this coverage gap have enjoyed a 50 percent discount on covered brand-name drugs and 14 percent savings on generic drugs. Temporary insurance coverage: Two programs have provided coverage for retirees who are over age 55 but not eligible for Medicare and for adults with pre-existing medical conditions who have been uninsured for at least six months. These pools were intended to create coverage until 2014, when permanent solutions are in place. Medicaid Expansion: The ACA was supposed to expand Medicaid to all individuals under 65 earning less than 133 percent of the poverty line, or around $30,000 a year for a family of four. The expansion would have provided coverage to 16 million Americans. The Court prohibited the federal government from punishing states for not complying. The feds can withhold new funds from states that don't comply, but cannot withhold all Medicaid funding. State insurance exchanges: Exchanges will be established to provide access to insurance for those who don't have coverage through work. The Congressional Budget Office (CBO) estimates that 23 million Americans will gain coverage through the state exchanges by 2019. The government will provide tax credits for individuals and families making less than 400 percent of the federal poverty level, which is currently $92,000 for a family of four.